This past summer, I had the amazing opportunity to study abroad in Europe. The events that took place on Friday, Nov. 13 in Paris, France have me in utter shock. As I read the headlines, my mind drifts to the three days I spent in France. Paris is a city you could never get sick of. It is breathtakingly beautiful. Everything about it: the people, the atmosphere, everything. The reality of experiences is terrifying and has me thinking, “this could have happened to me.” If I studied abroad a semester later, I could have been in Paris. I am not trying to make this about me or about Americans, but it is eye-opening, because I was there less than three months ago, and my heart sincerely goes out to the people of Paris. While my experience abroad was incredible and I hope to someday go back, this unspeakable event is something I cannot even begin to wrap my mind around. My heart aches for all the people in France and I wish I could do something, anything to help the people of France. The people who reside in Paris are one of the main reasons it is so lively. It truly is the city of love decorated in lights. While this terrorist attack is heartbreaking, I know the people of France will stand strong, and so does the world around them. 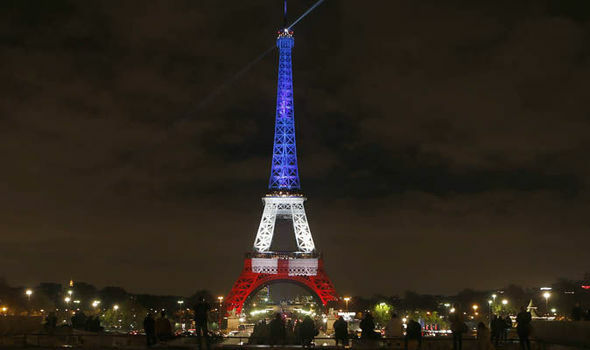 We are all united for Paris and for France to defeat ISIS. The world we live in today is not what it used to be. We are constantly in fear of leaving our homes, because you can no longer go to a concert or attend a sporting event without fearing for our lives. We cannot live freely or happily, because it is always in the back of our head that something terrible could happen. Obama made it clear that we would stand with France for whatever decision that they decide to make against the attacks on them. And I am fully in support of this, because we need to end this. So many innocent lives have been taken, because of ISIS and it needs to stop now. How many more innocent lives need to be taken before we end this? My thoughts and prayers go out to everyone who has been affected by this terrorist attack.